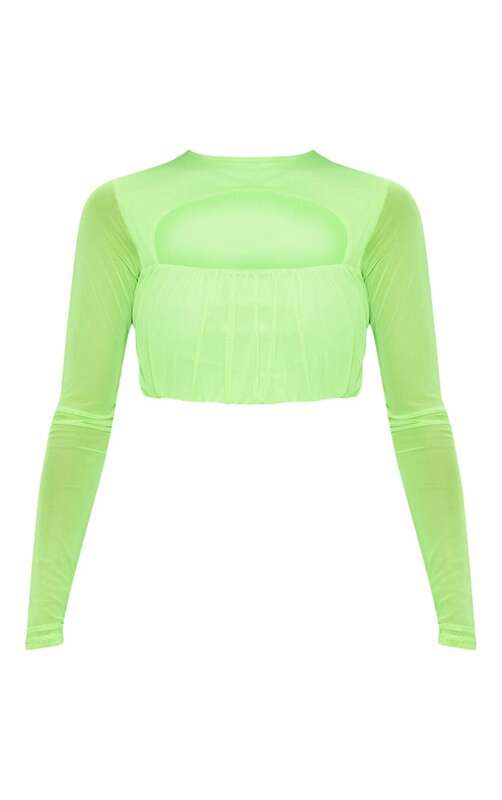 Stand out with this long sleeve crop top. Featuring neon lime mesh fabric and cut out detail. We love this teamed with matching ruched leggings and mules for edge out look we're loving.